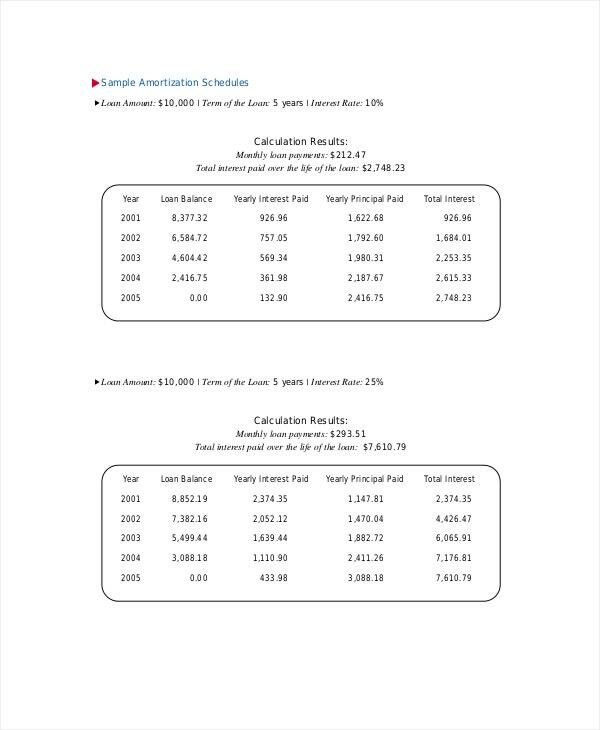 For auto loans or mortgages, this Free Loan Amortization Schedule Spreadsheet template can be downloaded for calculating the interest and principal amount loan pay off. Just customize, print and use. 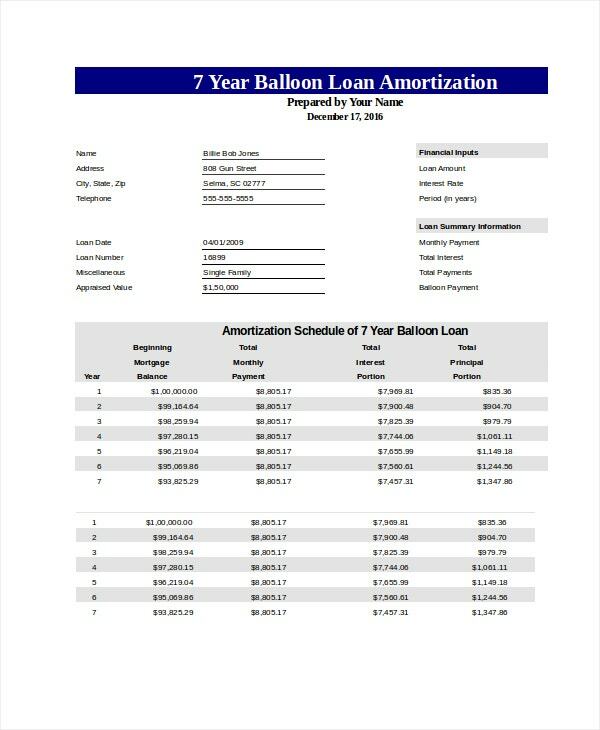 For use in commercial real estate balloon loan payments, you can definitely download this free Balloon Amortization Schedule template for calculating loan payoff amounts. You can edit the template and use. 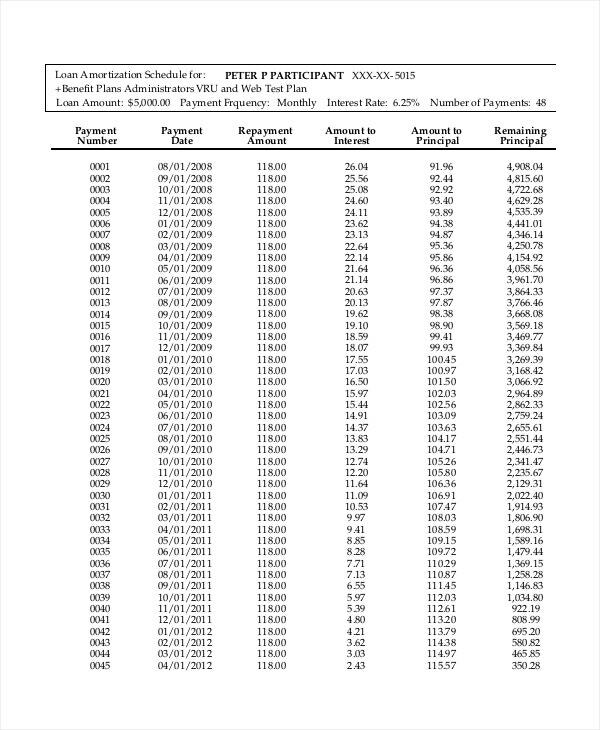 > Usage of Free Amortization Schedule Templates? A table has to be created for loan payments in periodic manner, to show the interest amount and the principal share of the loan amount being paid at the end of that loan term. This table has many heads like date of payment, beginning balance, payment schedule, total payment, extra payment, principal amount, interest amount, ending balance and cumulative interest. The Amortization Schedule templates found with us are extremely useful as it comes prepared with all the heads for your help. The content,of the template, like the name of heads can be edited and customized and later printed for your use. 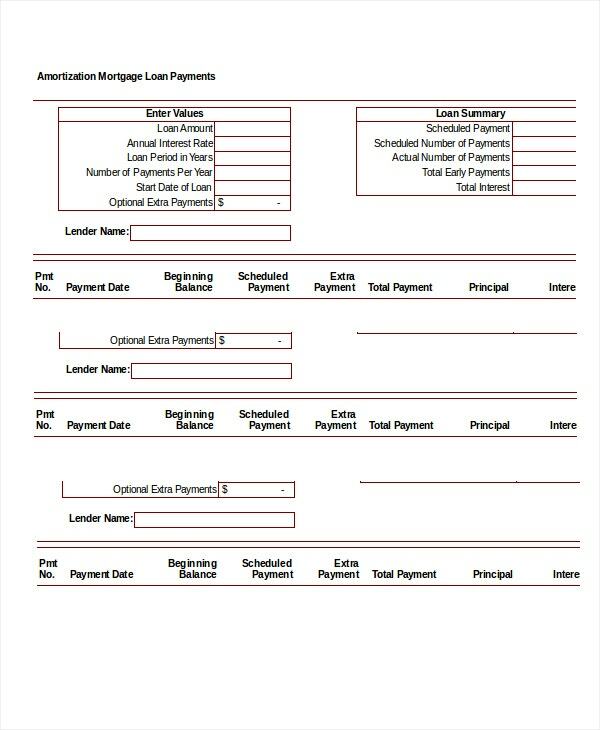 If you have taken loan against a mortgage of a collateral, then this free Mortgage Amortization Schedule Template should definitely be downloaded for loan amount calculation. Simply customize then print. 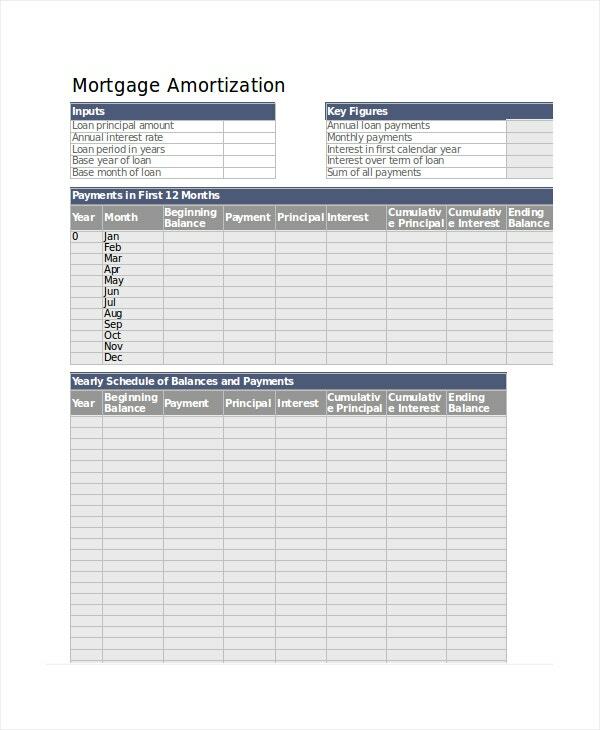 This free monthly Loan Amortization Schedule template is a must download if you want to create a Payment Schedule on a monthly basis against the loan you have taken. Customize and use. For jotting down the total interest to be paid against a loan, and how much of the principle amount you have paid off, you can download this free Benefit Plan Amortization Schedule template. 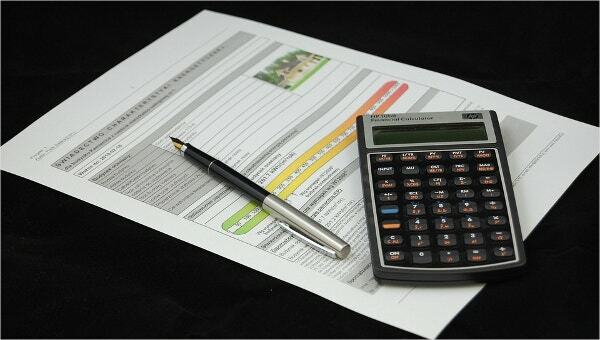 > Benefits of Free Amortization Schedule Templates? Amortization Schedule templates benefits every individual who has taken or will take a loan of any kind. It can be a car loan or some mortgage issue, this schedule will help in calculating the principal and interest amount, which is to be paid against that particular loan you have taken. These templates are very much detailed and designed by experts in a professional manner for your benefit for easy determination of total payment made towards that particular loan. It comes equipped with all the heads and these templates are available in Microsoft Excel spreadsheets. Just print the spreadsheets and use. With the preparation of Loan Payment Schedule, it is extremely important to download the Free Amortization Schedule templates available in our collection. Browse properly and choose the one, which meets your need for calculating and determining the interest and principal amount, payable. Just download now, and make your work simpler.